I've discussed in the past that I like to think of the world as one large ocean of capital. Over long periods money moves from one asset class to another bringing that asset from undervalued to overvalued back to undervalued again. This is how cycles are formed. Think of it like the ocean tides, ebbs and flows. For over 30 years the world has been in a bull market in paper assets. The entire asset base of the world today is valued at $150 trillion. Currently $140 trillion of that total is based in paper assets (stocks, bonds, and cash). These are paper notes that are backed by nothing but sentiment toward their value. This has be seen with a very recent form of the paper assets, a share price of Facebook, which today fell to $19 losing 50% of its paper value since its hyped IPO launch. Investors can argue that behind a share price of a stock lies a physical company and its earnings. This is certainly true, making stocks the most physical of the paper assets. 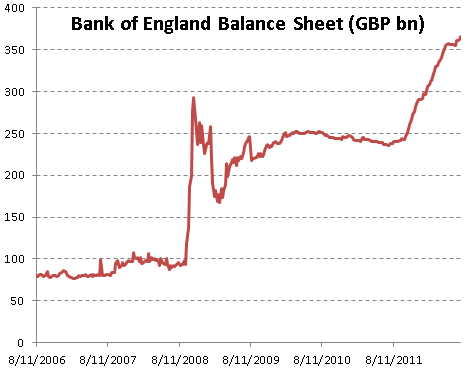 Bonds and cash share no such backing. A bond is only a promise to pay paper in the future, nothing more. Cash is the present value of those bond payments, also backed by nothing; a paper instrument based solely on the trust that the value of that paper will have purchasing power tomorrow. This ocean of paper has made the financial world we live in today extremely unstable. While 99.9% of the world has no understanding that they live in a system backed by nothing, I think the world is beginning to feel that something is wrong even if they can't put their finger on it. People read about billions of dollar of investor's money "disappearing" in thin air in from companies like MF Global and Peregrine Financial, where customers woke up one morning to find out that the paper promises they held in their accounts no longer existed. The paper stock market today is now run by machines, algos that are moving closer to the point of becoming true artificial intelligence. This has created a monstrous market that has the potential to end with a real life form of "judgement day" for investors who dare park their money in the paper market. Gold today represents only 1% of the total financial assets of the world at $2 trillion. 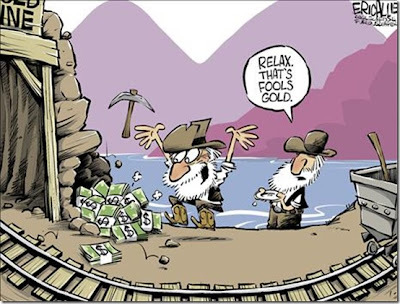 It is astonishing that for most of human history currencies were backed 100% by gold and silver. Today the entire system is 99% paper promises. 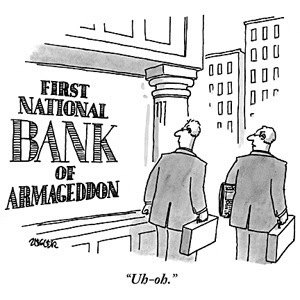 The financial collapse of 2008 shook many individuals, companies, and even countries out of a slumber. Those that dug a little deeper and did some research on how our monetary system currently functions, which are many of the readers of this site, found something very disturbing. One of those entities that woke up from the slumber is also one of the largest economic powers in the world today: China. After decades of building an economy based on exports to the United States in return for paper promises, something changed significantly following the financial crisis. China had the chance to peer behind the curtain to find out that the emperor truly wore no clothes. Those that live in China frequently discuss that China believes it is the rightful owner of global economic dominance. They believe that the last 300 years, where they have fallen from this title, have been an anomaly - not the norm. Many have prognosticated that we would wake up one day and find that China had dumped their US debt holdings heavily into the market. This day has not yet come leading many to believe that the world has moved back in line with where it was before the crisis hit in 2008. This is not the case. China, realizing the vulnerable position they put themselves in, did not panic. While China has not dumped their US debt onto the market, they have also not continued the program of recycling the majority of their large trade surplus and excess paper reserves back into America. Their holdings have stayed flat and have slowly begun to fall. The following chart shows Chinese US debt holdings from June 2011 through June 2012. They have fallen from $1.3 trillion to $1.15 trillion. This has gone mostly unnoticed in the market place. Why? Other investors have picked up the slack. 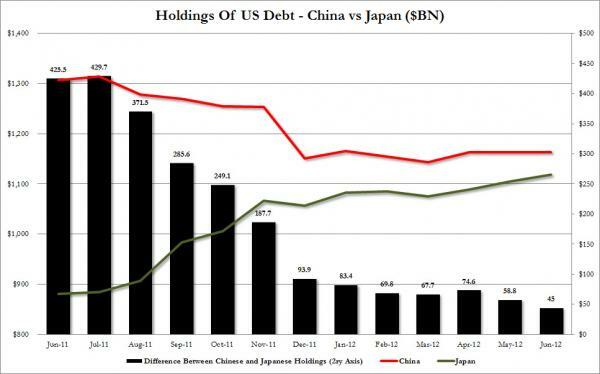 As you can see in the chart above, Japan has increased their US debt holdings significantly. The European crisis has sent a significant amount of capital around the world out of Europe and onto the shores of the United States. The Federal Reserve has been a huge buyer through their QE1 and QE2 programs. China meanwhile has begun stockpiling other physical assets from around the world. They have been loading up on commodities, energy reserves, purchasing foreign companies that produce commodities (such as rare earths), building out their infrastructure, and building their military. In other words, China is divesting itself from paper assets and building a war chest of physical assets. They have also done this very quietly. China wisely keeps the actual amount of total holdings in strategic commodities off the radar. One of these assets is gold. There are ways to track a portion of China's voracious appetite in the precious metals market. 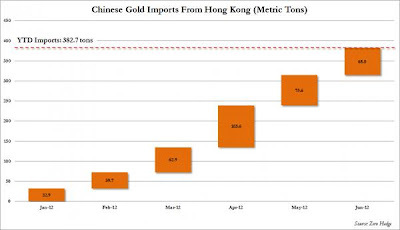 One of these ways can be seen through the recent imports of gold from Hong Kong: over 382 tons on the year. While the world tries to determine the next best place to park their paper assets as Europe continues to melt down, China is playing a different game altogether. The truth is, however, that while China is correctly building their strategic gold reserves, they still have a long way to go to catch up to other competing countries. 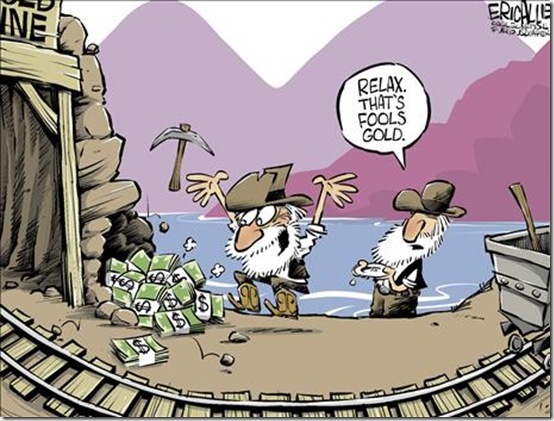 The United States currently has over 70% of its monetary base that can be backed by the amount of gold it has in possession. China has only 1% of its monetary based that can be backed by gold (based on China's gold numbers they have released - most likely this number is closer to 5 or 6% today). This is why China wants to keep this accumulation very quiet. Nothing pleases them more than to see investors around the world run to the "safety" of US paper assets. This allows them to purchase more physical gold at a cheaper paper price. Their goal is to increase their monetary backing as much as possible (divest paper reserves into physical gold) before others realize what is taking place. China creates their economic plans based on decades into the future instead of bi-annual political polls. China watched very closely how the United States dealt with Russia during the cold war where two competing powers battled for global economic supremacy. The US let Russia drown itself in debt until it destroyed itself from within, rendering it helpless. The same exact process takes place today with the United States and China. 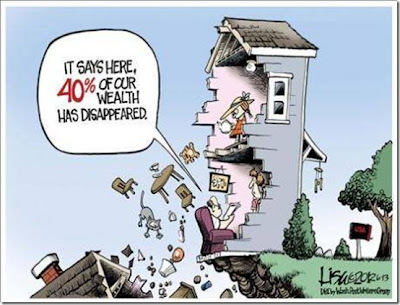 They watch the US gorge itself on government spending and stimulus programs while the American consumer drowns itself with iPads, large homes, and new televisions financed with debt. The US has hollowed out its educational system. It creates apps in the cloud instead of building factories, farms, rare earth mines, medical breakthroughs, and goods to export. While China will soon be facing tremendous stress on their economy due to their real estate bubble and the slow down in the global economy, I view it as their "great depression" like moment the United States faced in the 1930's that laid the foundation for the peak of US prosperity and movement toward global dominance in the 1950's. If you have a younger child who is deciding which language to take in school, the best piece of financial advice I can give you is to persuade that child to take Mandarin. China (second) and commodities (first) will be the dominant investment themes in the decades ahead. As I said at the beginning, the world is beginning to feel that something is wrong in our current paper monetary system. Here is just a sampling of how the mainstream is beginning to view the paper world we live in today. The excitement toward the housing bottom both in the media and realtor community has reached a frenzied pitch. Scores of bullish data continue to pour in month after month "proving" that the housing bottom is not only in place, but it is indeed firm. The new home builders, based on the optimism index released this week, are now as confident as they were in February 2007. At that point they were starting close to 1.2 million homes per year. Today they are starting less than 600,00. 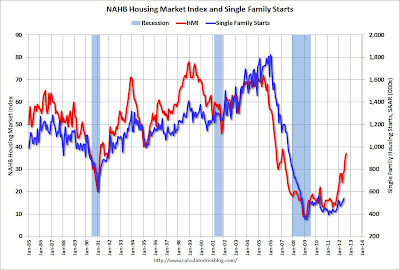 The red line in the chart below shows the NAHB housing market index surging as the home starts begin to tick up. Builders hope the recent increase in sales and starts will ultimately lead to a surge in completions, the important part of the equation, which has not yet shown signs improvement (but obviously occurs on a lag). I have covered the coming problems with shadow inventory, mortgage rates, and qualifications tightening relentlessly. Today, I'd like to briefly focus on demand. 49% of all mortgage holders not being able to sell their home creates a serious problem for new demand in the market. They are living in a coffin. Waiting and praying. Hold on you say, there is still plenty more demand out there to purchase homes. 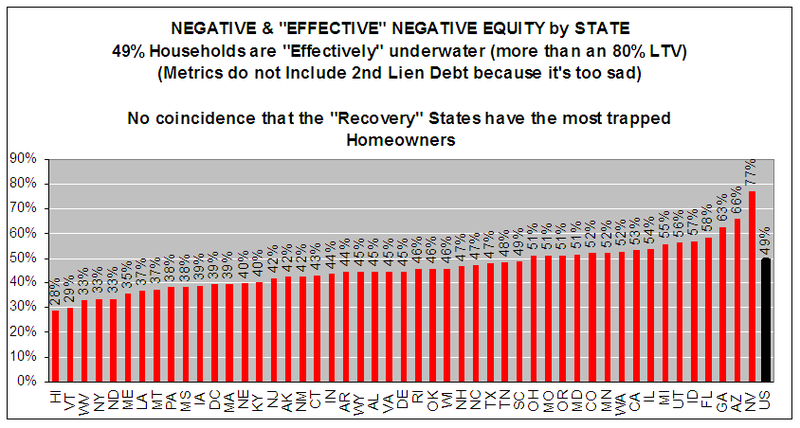 What about those that own their home free and clear and the other 51% of the mortgage holders that are not effectively underwater? 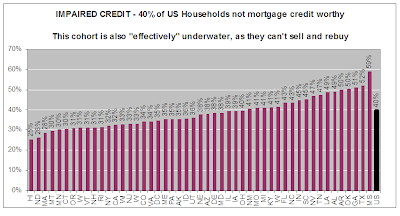 That brings up chart number two, which shows that 40% of all home owners currently have impaired credit that will not allow them to purchase a new home. Remember that the FHA will lend 97% loans at 3.5% interest, but you must have solid credit and income. 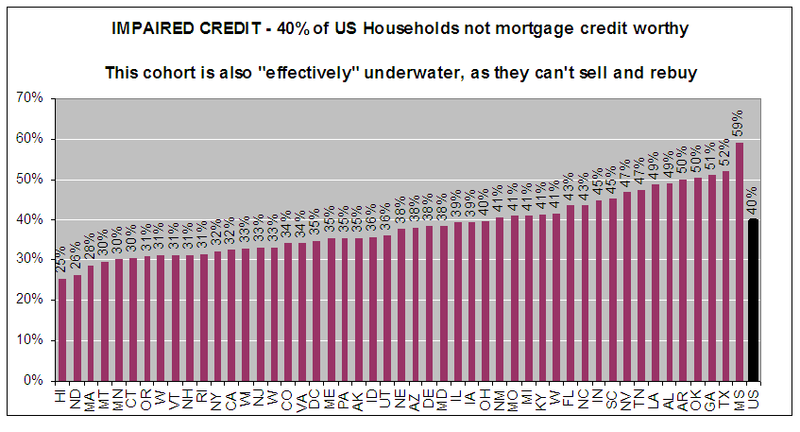 The following chart shows the impaired credit group by state. This means that the housing boom is counting on the first time home buyers and investors to carry the demand. During the first part of this year they have done the job. 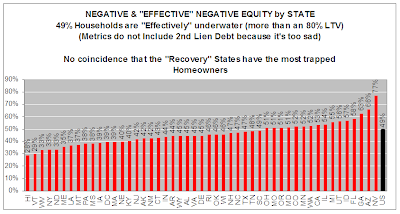 With most of the shadow inventory still held off the market and the "effectively" under water home owners unable to sell (keeping their homes off the market) the available inventory to buy has been artificially reduced significantly. This has helped the builders more than anyone bringing us back to the chart we began with. Those buying now are purchasing into an illusion of scarcity. Perhaps America's banks can keep the shadow inventory off the market forever, and perhaps the government will always be able to purchase mortgages at 3.5% interest rates with 3% down payments. I certainly know they will try. The forces of the free market, just like gravity, will always be there waiting to correct the imbalances. 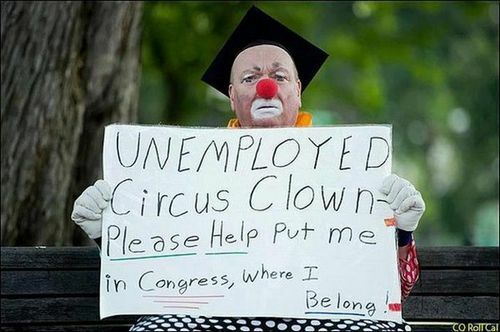 If those forces ever outweigh the heavy hand of the government and the Fed then look out below for those buying in to the American dream. In the meantime, those that have been given an opportunity to sell with these temporary price increases (their home price has moved up above water allowing them to exit the coffin), I would highly recommend they take up the opportunity. For a closer look at the problems coming on the supply side of the real estate market see US Real Estate: Where Is The Supply? The Eurozone continues to see its economy contract; confirmed this past week by the most recent GDP numbers for the Eurozone as a whole. 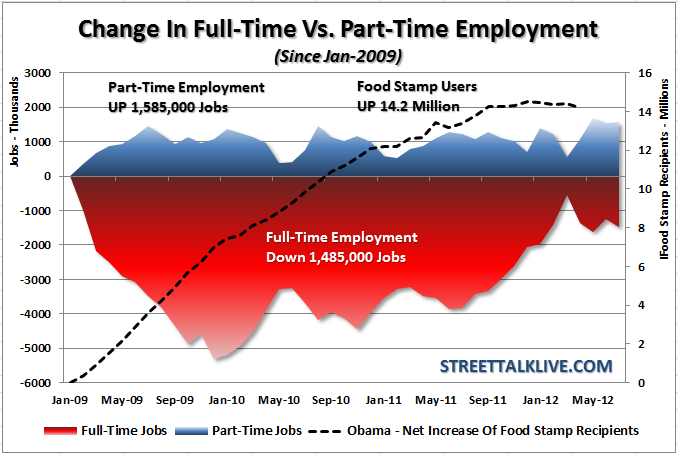 This number will only get worse as Germany and France get pulled into the abyss of the sovereign debt crisis. 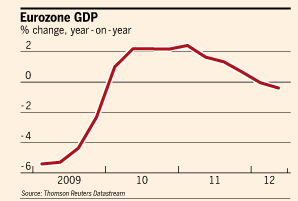 Greek unemployment has risen from 22.6% to 23.1% touching a new record high. Spanish unemployment is just as bad. 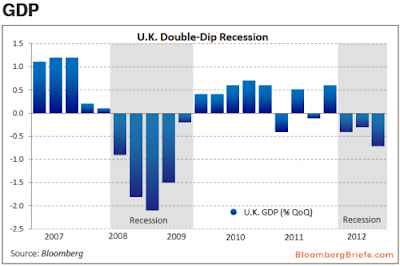 The slowdown in Europe continues to infect the entire global economy and trade markets, which has hurt one of the EU's largest trading partners, the UK, significantly. As the UK continues to slow down their central bank continues to pump in round after round of QE programs to try and stimulate growth. A voice from the UK, Nigel Farage, discusses the disaster that is Europe and what we can look forward to moving forward. For another excellent audio interview with Nigel released last weekend click here. Marc Faber: "I'd Rather Be Shot Than Vote For Obama Or Romney"
Marc Faber speaks with Bloomberg News about the US Presidency, government debt, interest rates, and stocks. The following video, an interview with former senator of Wyoming Alan Simpson, goes through the details of exactly what you will not hear during 99.9% of the mainstream news conversations: the truth. Let me say first that I love Paul Ryan, and I will be discussing his plans for deficit spending cuts in detail as we move closer to the election. I would be proud of America if he was running for President. Let me also say that all his excellent ideas will never come close to passing and most likely will not even enter a room for discussion. The United States is run by a group of children, and the only force that will enter the room and force them to make one serious decision is the bond market. That day is coming. In the meantime we can only sit back and watch and discuss the disaster that is unfolding, which Simpson lays out beautifully. "Medicare is on automatic pilot, and it will use up every resource of the government." 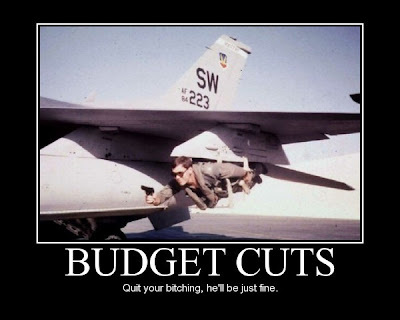 Instead of starting with a .0007% cut in the budget through some education cut, why don't politicians start with that simple statement and work backwards? Anyway, this is why I don't talk about this ridiculous subject. Let's just continue to focus on how we will profit from the disaster.